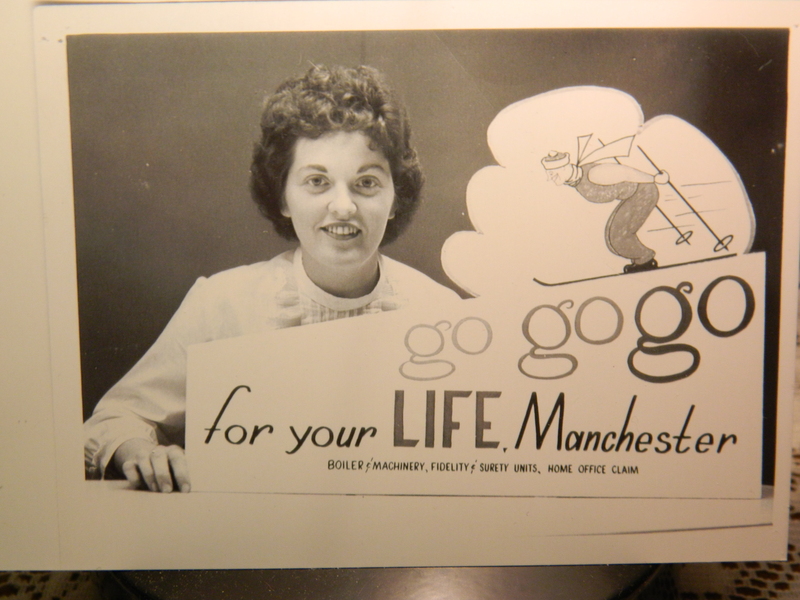 Dixie-Sue Bennett Larned, my sister, worked at Travelers and was asked to pose for publicity campaigns for branch offices such as this one, and for sporting events the insurance company helped to sponsor, including what is now called the ‘Travelers Championship’ on tap in Cromwell, Connecticut June 22-28, 2015. Photo by Jacqueline Bennett Dixie shown recently by the Connecticut shoreline. Fortunately our mother was a saver. Still, who would have imagined when a photo among her things of my sister, Dixie-Sue Bennett Larned, was recently stumbled upon it would be accompanied by such an interesting background. As told to me, it turns out Dixie was an original spokesperson, a.k.a. – a ‘Travelers Girl’ – for what is now called the Travelers Championship. No stranger to the spotlight Dixie had modeled and worked in the display department for G. Fox & Co. in downtown Hartford before accepting a job at Travelers in indemnity/fidelity at the home office, also located in Connecticut’s capital city. It was in 1957. Soon enough her work earned her a couple of promotions while her outgoing personality and interest in participating in the company’s charitable activities were also noticed. During a June 20th interview, Dixie recalled the top boss in her department at Travelers- Fred Smith – asked the young woman with the girl next door appearance if she would consider becoming the face for publicity campaigns for events Travelers helped sponsor. That included sporting events and an increasingly popular golf tournament – the Insurance City Open held in Wethersfield, CT.
“It was a honor,” said Dixie. Just five years earlier the Insurance City Open had been founded by the Hartford Jaycees to fund their philanthropic endeavors. Name changes followed and the event became the Greater Hartford Open (GHO), the Sammy Davis, Jr. GHO, the Canon Sammy Davis , Jr GHO, the Canon GHO, the Buick Championship, and in 2007 the Travelers Championship – a major PGA stop held in Cromwell. Over the years the tournament has attracted well-known and top professional golfers such as Arnold Palmer, Lee Trevino and Greg Norman. One thing that never changed was Travelers’ commitment to the cause. The company has served as a corporate sponsor of the event since its inception, according to a history of the tournament. More than $32 million has been raised for charities thanks to the tournament which donates 100 percent of the proceeds and currently assists some 140 organizations in the region, according to travelerschampionship.com. “Travelers was always involved helping charities,” Dixie noted. Her experience doing publicity for Travelers was not the first time Dixie had been acknowledged simply for being herself. She spoke of how back at G. Fox she had initially met the store owner, the legendary Beatrice Fox Auerbach. Dixie was “floor modeling” an outfit on the main floor of the Hartford store when she spotted a $20 bill someone had dropped. So, she picked it up and turned it in to a counter supervisor. The next thing she knew a very professional looking and gracious woman stepped over and introduced herself. “It was Mrs. Auerbach. Unbeknownst to me, she had heard my conversation with the supervisor. She asked my name and thanked me,” said Dixie. While at G. Fox, Dixie attended the store’s modeling courses and enjoyed participating in weekend runway shows – often bringing along Mom and our sister Candy. However, Travelers offered new challenges and a chance to learn about the legal aspects of insurance which Dixie found appealing. Little did she know that choice would eventually lead her to cross paths with celebrities of that era who turned out for the golf tournament, as well as, recognition when she went out for lunch in the city from folks who had seen the Travelers publicity shots. At the time, Hartford was a thriving, bustling place. “I’m a people person. I would stop and talk with them,” she said. The publicity shots for Travelers were taken at what was then their Grove Street building. A big promotional reception was also held at the Old State House. “It was one of the many happy times in my life, ” added Dixie. Hollywood stars such as the late comedian Bob Hope and singer Sammy Davis, Jr. eventually became aligned with the golf tournament. During her time at Travelers from 1957 – 1961, Dixie married and started her family. She decided she wanted to work closer to home and took a post in admitting at Windham Hospital. Her years there, she said, were productive and fulfilling. 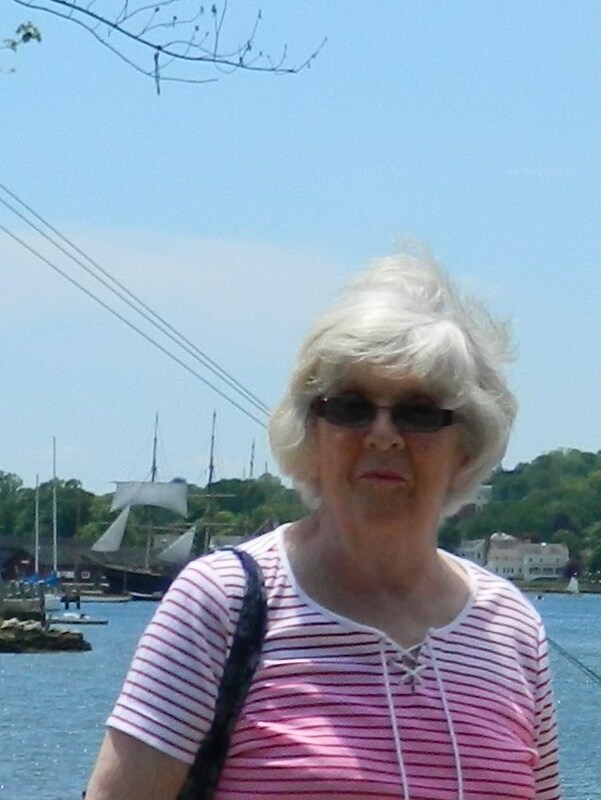 Along the way while working at Travelers, she had taken classes at the University of Hartford, and later Eastern Connecticut State College – now ECSU. After her two sons were grown, the opportunity presented itself to return to working in downtown Hartford in personnel for the State of Connecticut. It was an opportunity she couldn’t pass up. Now retired she enjoys spending time with her sons and their families – Mike & Melane and their two daughters, and John and his daughter and son. She returns to the golf tournament whenever possible and remembers fondly being part of the early days. 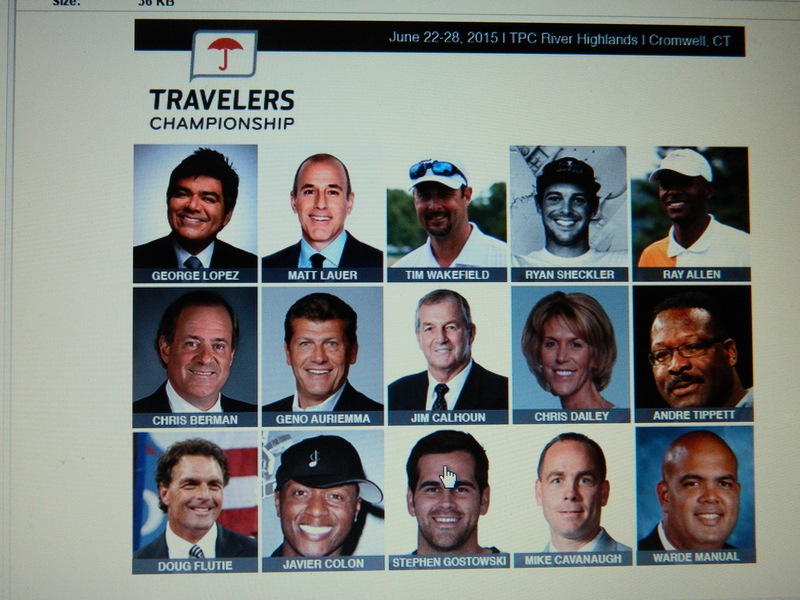 The 2015 Travelers Championship runs June 22 to June 28 at the TPC River Highlands in Cromwell, CT. Celebrity Pro-Am Day is Wednesday June 24. Visit http://www.TravelersChampionship.com or http://www.tpc.com/riverhighlands/travelers-championship for more information.